Two water workshops were recently held in mid-March in Waterville and Truro to discuss water withdrawals, watercourse alterations, beneficial use of wetlands, biodiversity initiatives and some current research activities. The presentations sparked questions and discussions and have highlighted some areas for future workshop topics. The presentations and contact information for the speakers have been posted on the EFP website for anyone that would like to review the content presented. The information is available here. If you have any suggestions for future water related workshops, contact the EFP office at 902-893-2293 or email. How many times have you cursed your internet connection – wishing you had the high speed and cellular reception that you can find in the city? Unable to contact your employees, friends or family due to the lack of cell reception? For thousands of Nova Scotian’s living in rural areas across the province – this is a regular occurrence. This is a challenge that farmers and rural business owners have had to face for years, and has been a barrier to the growth of their operation. Being able to conduct simple day to day e-commerce as well as embrace cutting-edge precision agriculture technology is vital to farmers in today’s agriculture industry. In March the 2019 Federal budget was announced, with that was a commitment of $5 – 6 billion to provide high-speed internet to 100% of Canada by 2030 – it is encouraging to see this issue being addressed at the Federal level as this is a challenge nationwide. If you attended our Annual Meeting in 2018, you will recall a resolution that was passed for NSFA to lobby for better cell phone and high-speed internet service in the province. One of our first steps in addressing this issue is to collect data from membership. At the bottom of this post you will find a survey that we encourage you to fill out. The information collected in this survey will allow us to better understand which regions have limited/ or no telecommunication services (cellular and high-speed internet), and the implications this has in rural Nova Scotia. With this data we will share the challenges and barriers you and other face with decision makers in the provincial government. By completing the survey below, you understand that NSFA will report the survey results in aggregate – names and contact information will be removed. Any contact information provided will only be used to follow up on improvements and report back on lobby progress. Perched on top of Nuttby Mountain in Nova Scotia’s Colchester County, lies a hundred-acre woodlot and MacRae’s Rocky Ridge Maple. 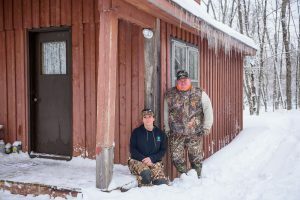 What once started out as a family endeavour to collect enough maple syrup for themselves – has morphed into a retirement hobby for Alec and Gayle MacRae. 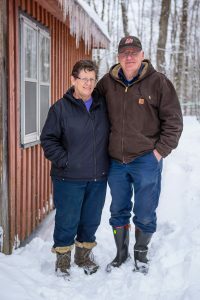 With almost 50 years of marriage under their belts, Alec and Gayle have two children, Elaine and Andrew, who help out on the family maple farm whenever they get the chance. Alongside them is Elaine’s husband Ryan and their two kids Shannon and Alexis. Elaine, graduated from Nova Scotia Agricultural College and is a Quality and Food Safety Specialist at Perennia Food and Agriculture, her husband Ryan is a Senior Web Designer with Nicom IT Solutions in Halifax, and Andrew graduated from Nova Scotia Agricultural College as well as North Carolina State University where he received both a Masters Degree and a Doctorate. Andrew works in North Eastern, U.S.A. as a Field Scientist with Dow AgroSciences. 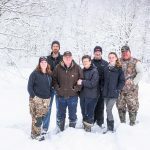 As members of the Maple Producers Association of Nova Scotia (MPANS) and Nova Scotia Federation of Agriculture (NSFA), the MacRae’s had an Environmental Farm Plan completed to help them access funding, as well as ensure they were incorporating environmental factors in order to keep their woodlot healthy. 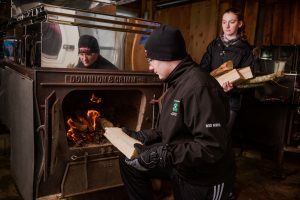 In addition to implementing an Environmental Farm Plan, they also follow the Best Management Practices outlined by Maple Producers of Nova Scotia which includes; production, food safety and packaging guidelines to producing a safe, quality product. Workplace safety is also important on their farm – although it is not required – they have a written and implemented Farm Health and Safety Policy in place. Their advice to anyone looking to get into maple producing? Every year since their retirement Alec and Gayle have increased production by adding more taps. What once started out as a few tapped trees with sap buckets on their woodlot has transformed into a much more extensive and modern operation. 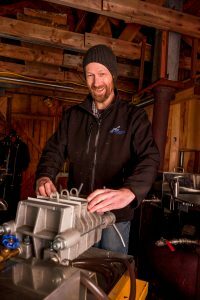 A new evaporator and a holding tank were installed in the existing sugar shack on the property, and the galvanized buckets and taps were replaced with news spiles and tubing. Did you know it takes roughly 40 litres of sap to make 1 litre of pure maple syrup? During the summer months, sugar is made by the leaves and stored as starch in the root tissues of the maple trees. Fast forward a few months – to the supposed “end” of winter – the MacRae’s begin tapping trees. As spring approaches, the warmer temperatures sweet-talk the trees into turning the stored starch back into sugar, the sap is created by the trees as they mix ground water with the sugar. The freezing and thawing of the trees due to temperature fluctuations in the changing seasons, builds up pressure in the trees which causes the sap to flow from the tap holes. MacRae’s Rocky Ridge Maple uses the modern sap collecting process of taps connected by flexible plastic tubing that interlink – the sap from the lines is quickly drawn back to their releaser building using a vacuum pump. In the beginning, the sap was gravity fed from the trees to the building, but a vacuum pump system was later installed, which has increased production. Once the sap reaches the releaser building on site, the sap is pumped from the building and run through filters on it’s way into the holding tanks. When the tanks are full, the sap is put through a Reverse Osmosis (RO) machine, which filters the sap again and takes a percentage of the water from the sap before boiling – this will shorten the processing time in the evaporator. 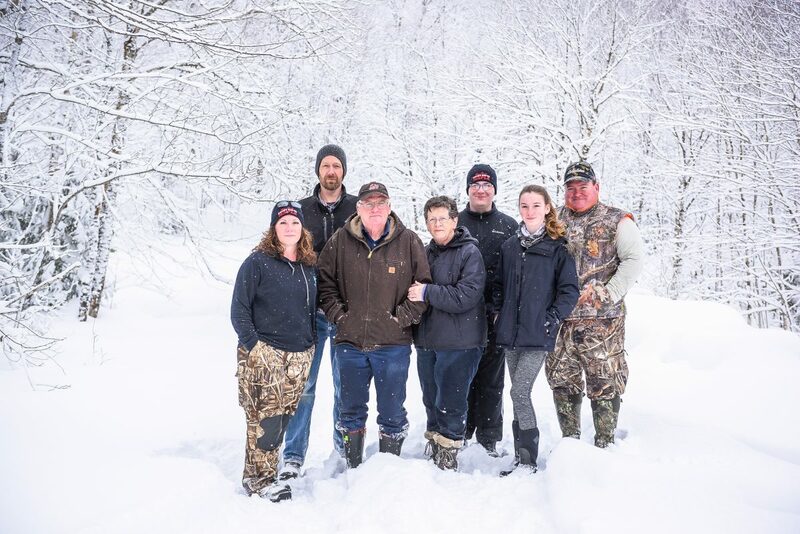 The MacRae’s run their maple farm as sustainable as possible, using the water removed in the RO machine to clean, and harvesting the wood for their evaporator by only cutting dead or dying trees from their woodlot, which in turn helps keep their sugar maple healthy. 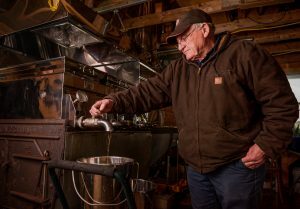 After passing through the RO machine, the sap is boiled in the evaporator – which is fueled with wood from their woodlot. As the water in the sap evaporates, the sap thickens and is boiled until it reaches between 66% and 68% Brix, which is the sugar content of the syrup. After reaching the desired sugar content the syrup is put through a filter press to separate solids from liquids, and then bottled at a high heat to maintain quality. The MacRae family package and sell syrup – as well as maple butter – both at the door of their North River home, and by bulk. Be sure to check out MacRae’s Rocky Ridge Maple’s website, and keep up with their season by following their adventures on Facebook, Twitter and Instagram. The AGM is an avenue where NSFA farm members have the opportunity to present issues and associated solutions. At the 2018 AGM, NSFA passed five standing policies, three of which will be familiar from years past, and five new resolutions. Updates on the standing policies and resolutions can be found in future issues of the News and Views along with our website and Friday eNews. It shall be the policy of Nova Scotia Federation of Agriculture to partake in consultations and work with industry stakeholders and organizations to identify changes that need to be made for the foreign worker programs. The Federation will also work with appropriate bodies to ensure training and other translative supports are available for foreign workers. NSFA will also work with stakeholders to ensure that programs to hire local labour are well communicated and accessible to farmers. It shall be the policy of the Nova Scotia Federation of Agriculture to continue to monitor, participate and communicate changes to regulations at the provincial and federal levels that will impact agriculture. NSFA will also work with industry stakeholders to ensure compliance requirements are well communicated throughout the industry. It shall be the policy of the Nova Scotia Federation of Agriculture to work with government, industry and stakeholders to ensure that the Agriculture Industry of Nova Scotia has the capacity to manage water resources in light of climate change. The Federation will also lobby government to implement programs to support farms with on farm climate change mitigation strategies. It shall be a standing policy of the Nova Scotia Federation of Agriculture to be actively engaged in the development of new legislation regarding transportation as it pertains to agriculture. NSFA will also lobby Nova Scotia Department of Transportation and Infrastructure Renewal to ensure that agriculture is a lens that is applied with considering the reclassification of roads. Therefore be it resolved, that the Federation lobby the Department of Agriculture to modify the Limestone Transportation Program so producers can access it at any time of the year without the existing rigid application and claiming deadlines. Therefore be it resolved, that the NSFA lobby the Minister of Agriculture and NSDA Programs to include assistance for trucking Gypsum under the Provincial subsidy program similar to that of trucking assistance of lime. Therefore be it resolved, that wildlife controls be added to the CAP program. Therefore be it resolved that, the NSFA lobby the Minister of Agriculture, the Premier of Nova Scotia and the appropriate federal, provincial, municipal departments involved in business development and communications along with the CRTC to request their involvement in resolving this lack of services that are essential to businesses in this province. Therefore be it resolved, that the Nova Scotia Federation of Agriculture lobby the provincial government to primarily procure locally available Nova Scotia products and ensure minimum procurement from their third party providers in all government institutions by 2025. NSFA accepting applications for committee vacancies. provide fair grounds for NSFA to fill vacancies on committees. Members and eligible family members will be able to apply online and vacancies will be posted when the nominating committee issues a call for applications. Up until present time, NSFA committees were populated (with exception of external appointments) through the Executive Committee and Council of Leaders. The organization has heard from members that this should be changed to allow for broader membership participation. The change is also in line with our attempts to better engage Nova Scotia’s farmers. At the April 2018 Council of Leaders meeting, an action was passed regarding the committee membership policy. Developing an application process for committee membership was one of the asks highlighted by the Nominating Committee. In addition to this, it was requested that there be a one-time addition of one (1) member at large to all standing/special committees to provide opportunity to accommodate existing interest. Lastly, any current Council of Leaders committee designations, crop, livestock or other farmer positions are now identified as “Member at Large” representation on the Terms of Reference. As NSFA continues to be the one voice for Nova Scotia Farmers, we will strive for an engaged membership as we work together to move the industry forward. A strategic planning exercise for the Nova Scotia Federation of Agriculture is underway that will set priorities for future efforts of the organization. Yvonne Thyssen-Post, P.Ag. of Thyagrissen Consulting Limited has facilitated sessions and interviews with NSFA Council of Leaders, Executive Committee, Commodity Association Managers, Associate and Corporate Members as well as other provincial federations. It is time to hear from membership! What are the issues/challenges facing the agricultural industry in NS? Are there political challenges? What about economic or social stresses? Or perhaps it is technology that is causing issues for our industry. By identifying these issues and bringing them to the forefront, together we can identify what the role of the Nova Scotia Federation of Agriculture is in assisting industry to deal with these challenges and in turn better serve its’ members. Please RSVP with your name and location of choice for participation by contacting Shelly MacKenzie, NSFA Office (902) 893-2293 or smackenzie@nsfa-fane.ca. During the last week of September, Bill 58 passed first and second readings at the legislature. Bill 58, which was amendments to the Municipal Government Act, made planning mandatory across all municipalities in Nova Scotia. As per legislative process, the Bill then went on to the Law Amendments Committee for public consultation. Victor Oulton, NSFA President presented in favour of the bill on behalf of the organization as mandatory municipal planning is a lobby position of the Federation. NSFA has been working to protect agricultural land, as per our Standing Policy, for years and the passing of this bill is the first step in strengthening the Statement of Provincial Interest on Agricultural Land. NSFA looks forward to continuing our lobby efforts to protect Agricultural Land and look forward to working with the Department of Municipal Affairs in supporting municipalities with planning for the future of agricultural land. Below is the text of NSFA’s presentation to the Law Amendments Committee. Protecting agricultural land has been a key priority for farmers across Nova Scotia. Land is essential to agriculture and once it is lost to development, it cannot be recovered. Here in Nova Scotia we are fortunate to have 1.57 million hectares of agriculture classed soils which is almost 30% of our land suitable for agriculture production. While a portion of this land – though incalculable – has been lost to urban development, what is remaining is vital to the future of our industry. When we think “agriculture land” we immediately think food, maple groves or Christmas Trees. Agriculture land is so much more than these. Agriculture land contributes to the livelihood for more than 2400 farm families across Nova Scotia and their employees. Agriculture land is a rural economic driver. Nearly $600 million dollars of gross farm income is generated each year in Nova Scotia from agricultural land. This gross farm income creates over 9000 jobs on farms as well as indirectly supporting industries like machinery, feed stores, construction and many more. Agriculture land creates scenic landscapes which yield agri-tourism opportunities. Agri-tourism generates economic opportunities for communities. People from around the world come visit our orchards, vineyards and farm markets for the experience – the spinoff from these experiences supports bed and breakfasts, local restaurants and local artisans. Aside from the economics of agriculture land, agriculture land encourages biodiversity which creates habitat for wildlife and plant species. Abandonment may occur when there is no farm successor. Agricultural land values are on the rise. Sometimes farmers sell the land for development as a means for retirement. There also lots of farm land that is forested. Though this land isn’t actively farmed, and maybe not even maintained, the land is still available for future farmers. Land has always been important to farmers. Over the last couple of years, NSFA brought together stakeholders to work on recommendations outlined in government papers to preserve agricultural land in Nova Scotia. It goes without saying that preserving agricultural land is a multi-faceted issue which includes land taxation, protection and planning. This committee is working on developing a provincial land strategy for agriculture land use in Nova Scotia. An Agriculture Land Policy must have an authentic statement around agriculture land use and protection thereof and further include transfer of land, accessing land, land bank, taxation, registration and migration. Changes to the Municipal Government Act to make planning mandatory across all municipalities are welcomed and support the work of the NSFA Land Policy Committee. With regards to the addition of regulation development identified in section 214 (4)(a), in the event that regulations with regards to the planning of agricultural land are developed, NSFA would like to be part of that consultation process and inform from the industry perspective. Farmers across the province will once again be opening their gates for the 17th annual Open Farm Day on Sunday, September 16th. Over 30 farms are ready to welcome thousands of Nova Scotians to their operations including vineyards, orchards, livestock, and much more. Open Farm Day is an Atlantic Canada-wide event with New Brunswick, Newfoundland and Labrador, and Prince Edward Island participating alongside Nova Scotia. This event is supported by joint federal and provincial funding through the Canadian Agricultural Partnership, a $3 billion investment that sets a solid foundation for the future of Canada’s farmers and food processors, helping them grow, innovate, and prosper. 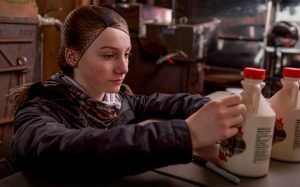 Visitors will gain a better understanding of the agricultural industry in Nova Scotia and have fun while doing it. Every location offers activities with educational components such as: guided farm tours, displays, and demonstrations. Guests also get the chance to pick local produce, visit with livestock, taste wine and other food samples, go on wagon rides, purchase local products – for a full list of activities please visit the website listed at the bottom. In Nova Scotia, there are almost 30 recognized commodity groups – this year there are a wide variety of commodities represented with locations from one tip of the province to the other. Starting in June 2018, NSFA opened a feedback form to understand the extent of the damage caused by the frost and below freezing temperatures in the late spring. Each of Wild Blueberries, Apples and Christmas Tress expect at least a 50% crop loss across the industry this year alone. Some farms will experience 75-80% in crop loss this year. For example, in the Lunenburg County area, where 60-70% of Nova Scotia’s Christmas Trees are grown, producers expect 60-70% crop loss on each farm. Some farms will experience a 100% crop loss this year. We heard from Wild Blueberry producers who have damaged sprout fields which will impact the 2019 crop. Most farms won’t know until at least the fall the extent of the damage. For example, Christmas trees farmers won’t know more until it is time to shear and Wild Blueberry growers won’t know the extent of the damage until harvest. Farmers are addressing the challenges through different cost cutting measuring including hiring fewer labourers or none at all. We have heard from some farmers who said that the crop was looking okay with minimal damage. However, as the crop matured, signs of damaged appeared. Thank-you to everyone who provided feedback on the troubling frost and freeze damage this Spring. The survey will remain open into the fall for those who wish to report damage as it appears. Moving forward, NSFA has been lobbying government for late enrollment for Agri Stability and financial support for farmers through other means. CFIA released the regulations for the Safe Food for Canadians Act today. This has been an important advocacy piece for the Federation since the Act received Royal Assent in 2012. Upon early review of the regulations, NSFA is pleased to read that many farms with a gross farm income under $100,000 will not be required to have a written preventive control plan (PCP). While the Federation does not dispute the need for traceability and assurance of safe food, the cost prohibitive written PCP would have potentially put farms, particularly those that sell direct to market across provincial boarders, out of business if required to comply. During the consultative process, NSFA lobbied Health Canada, CFIA and AAFC to raise the proposed $30,000 threshold or create an exception for farms selling direct to market. A link to the regulations can be found here. Tools and supporting resources for the Safe Food for Canadians Act and regulations can be found here.